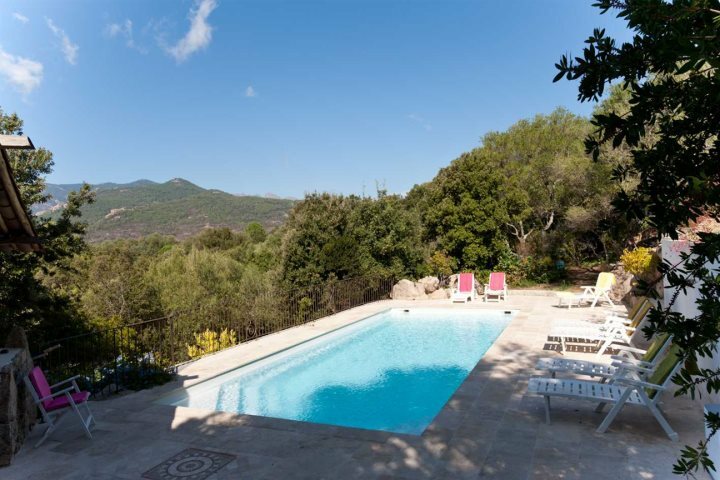 Located in Lecci, in Corsica's L'Extrême Sud, Casa Furtuna, is a four-bedroom property which sleeps up to eight guests, and is a wonderful choice for both families and groups of friends looking for a countryside escape. 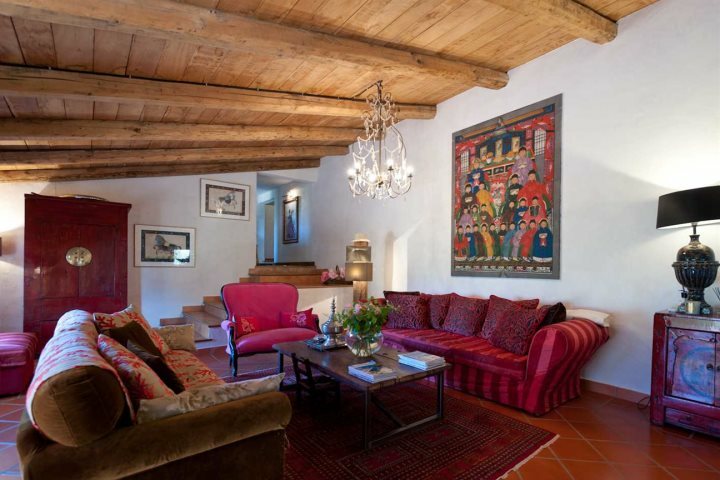 Showcasing the beauty of traditional Corsican living, the decor throughout the property features exposed wooden beams, terracotta tiles and fresh white walls, providing a welcoming feel, ideal for those looking for home comforts when on holiday. Indoors, the large kitchen diner provides a sociable space for meal times, and for al fresco dining, there's a good size dual aspect terrace with a large round table, where there's some fantastic countryside vistas to enjoy. If you're keen to soak up some of that Mediterranean sunshine, Casa Furtuna's private heated pool is a great little spot. Surrounded by sunloungers and boasting the same, rolling countryside panoramas, you'll feel relaxed in no time. 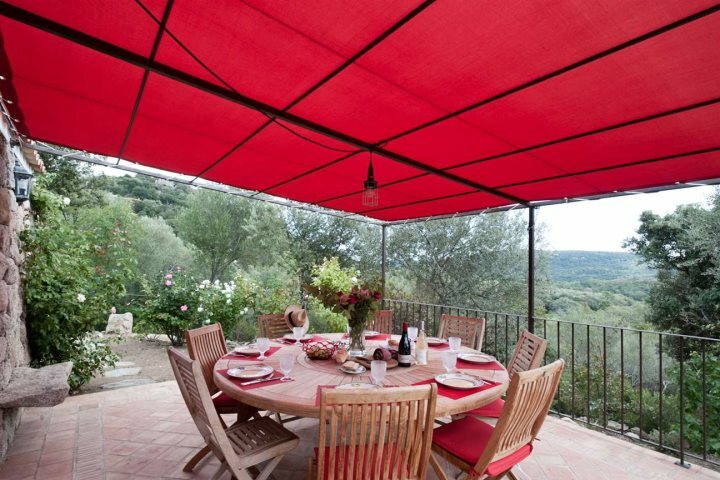 Casa Furtuna's location in Corsica's L'Extrême Sud means that not only are you close to some of the island's most impressive beaches, but you're also not too far away from adventurous activities too. Pinarello Beach is one of the island's finest - an azure bay lined with soft white sand, it's less than half an hour's drive from Casa Furtuna. 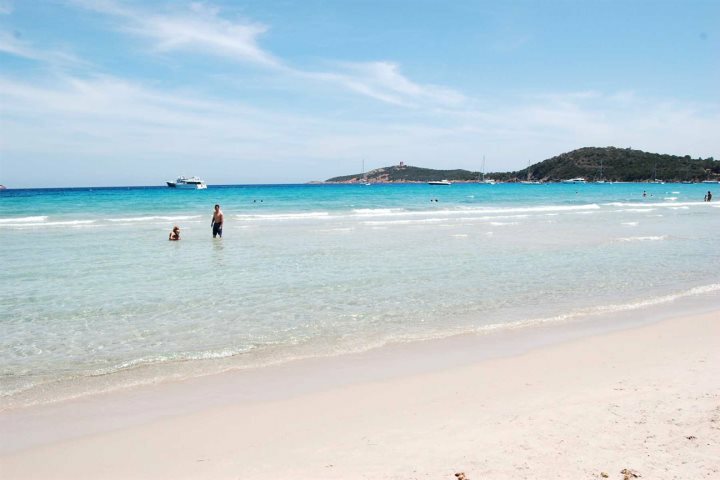 You've also got the historic town of Porto Vecchio around 20 minutes away, where there's a stunning harbour front and a myriad of cobbled streets lined with shops, bars and restaurants up on the hilltop. If you're more in search of adventure, fear not, as Corsica's rugged interior is not too far away. 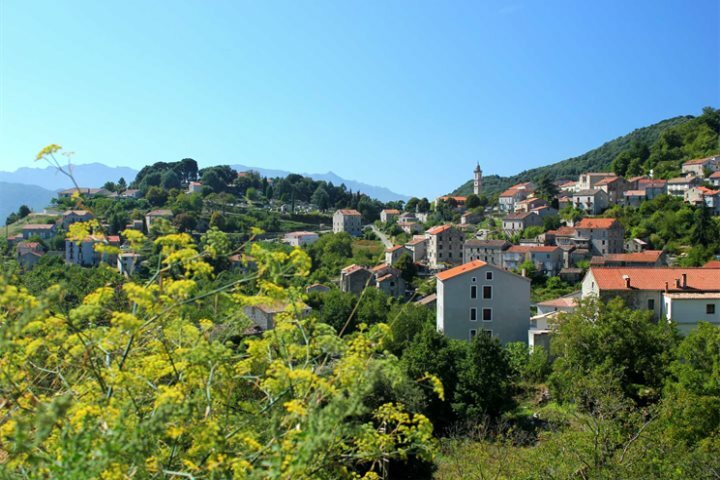 Take your hire car inland and discover authentic little mountain towns such as Zonza and Levie, and try activities such as mountain biking and quad biking. "Casa Furtuna is a lovely and spacious, homely split-level property at the very end of a quiet lane, so enjoys peace and tranquillity at all times. There's no immediate neighbours and no passing traffic. 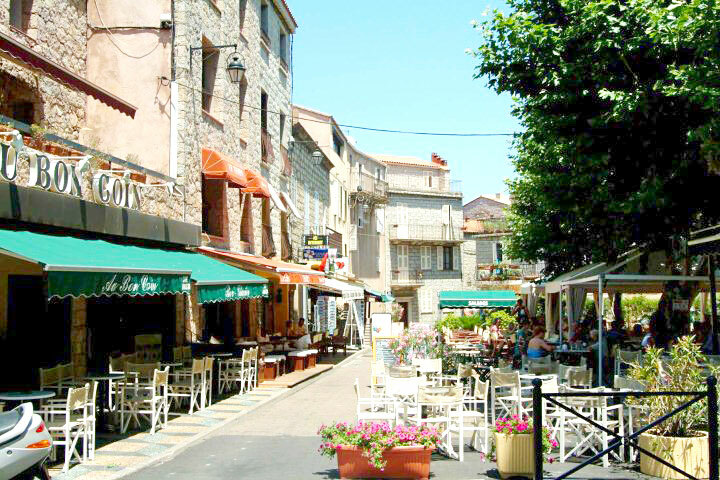 It’s rural, but you can stroll to a couple of “local” restaurants in the village of Lecci, or explore the market on a Wednesday morning (French markets - always great fun) and some of Corsica’s best beaches are nearby – Pinarello and St Cyprien. You’ll likely spend more time here lazing about than you might at some other properties which you’d use as a base for exploring, and it’s easy to stay up late on a hot night with a book and a glass of wine listening to the crickets…Furtuna is memorable in the sense that it gives the great feeling you’d hope to get from a summer holiday in Corsica." 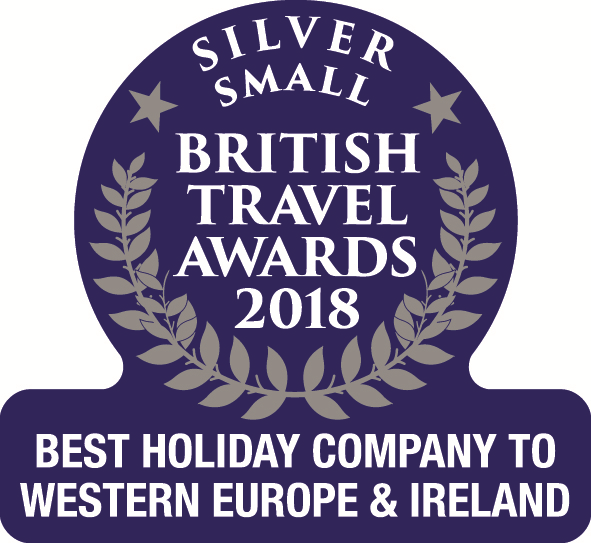 You can choose to book through our website, corsica.co.uk, or give our reservations team a call on 01489 866931, who are exceptionally knowledgeable about the destination and will be able to answer any questions you may have. Plus, with current prices from £679pp for select dates during July, it's time to start thinking about your summer holiday to Corsica.